Like it's older brother (9610 BRICK) the 2106 BRICKette packs a level of versatility and durability like no other light into a smaller package. Designed to meet the needs in a variety of applications from Paint & Blast to Confined Spaces. 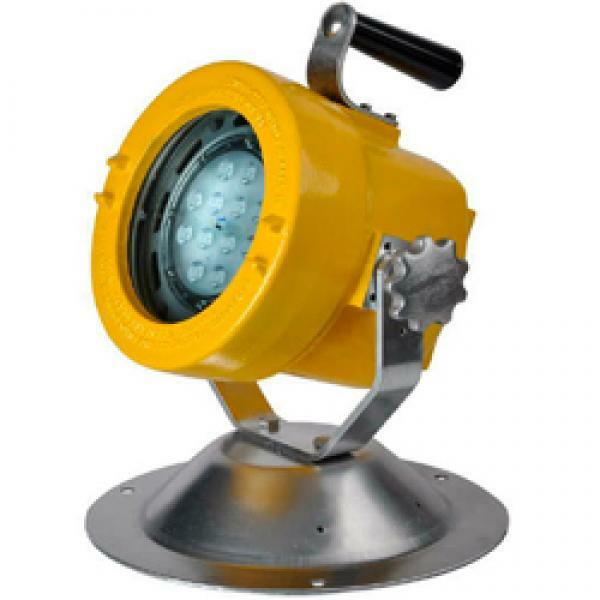 This durable swivel-mounted area light is specifically designed for working in marine environments or very wet locations. One of the most versatile multi-directional lights on the market, including a 100 foot 16/3 SOWA electric cable and a variety of additional options available. 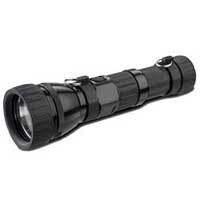 This light bodied rechargeable flashlight is compact in size yet one of the most durable and strong flashlights in its class. This compact flashlight packs a punch with a hard anodized aluminum body and 1200 lumens-Projection, a distance of 2500 ft. 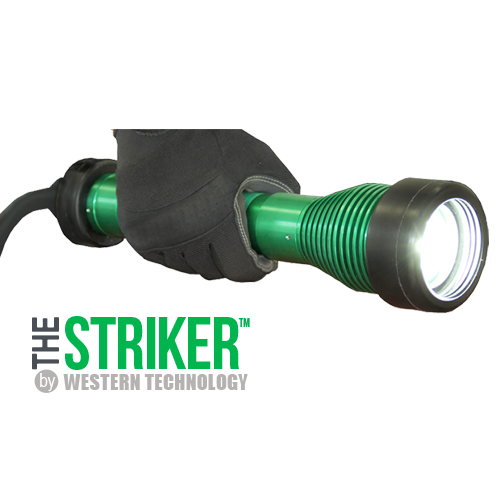 Shine a light on the darkest of work site conditions with the 8100 STRIKER, the ultimate explosion proof long handle flashlight. 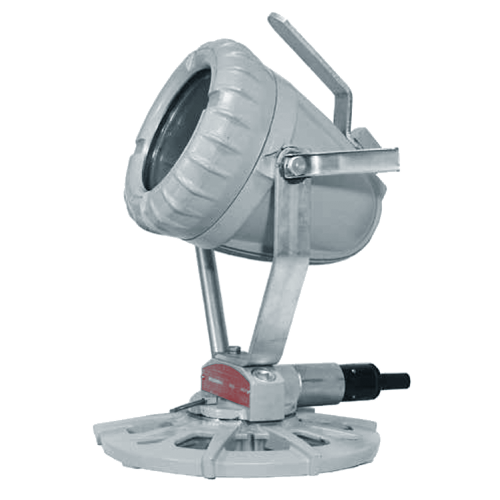 From typical hand-held use to hook mounting this versatile light harnesses the best of portability and durability for almost any application! 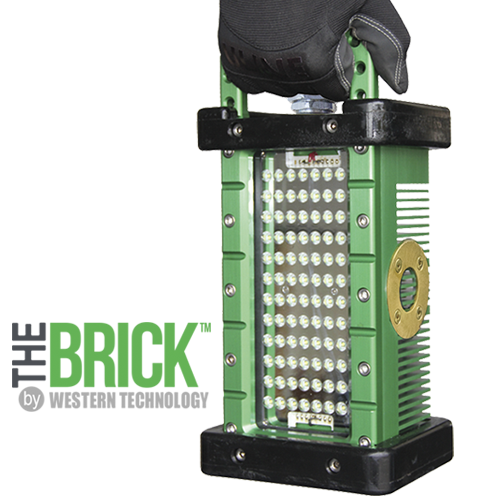 The 9610 BRICK LED explosion proof mountable area light is the most versatile and rugged portable explosion proof LED light on the market. 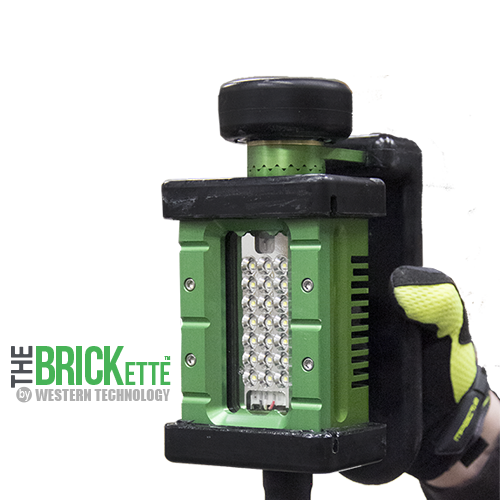 Built for a variety of applications ranging from Paint & Blast to Power Generation and Refineries the BRICK is the perfect choice for your portable lighting needs.